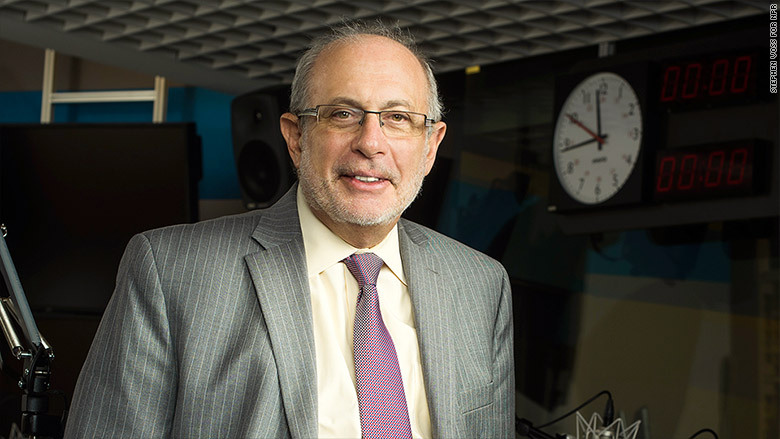 NPR's Robert Siegel, a legendary journalist and mainstay of public radio, will step down next January. "Looking ahead to my seventies (which start all too soon) I feel that it is time for me to begin a new phase of life," Siegel, 69, said in a statement. "Over the next few months, I hope to figure out what that will be." The decision leaves NPR with a crucial microphone to fill. Siegel has been a host of the organization's flagship evening broadcast "All Things Considered" since 1987. He is now the broadcast's senior host, a familiar voice for generations of radio listeners. "Finding his successor will not be easy," NPR said in a press release. "We will conduct a national search -- looking inside NPR and across the media landscape -- for the next voice of All Things Considered." Siegel's co-hosts are Audie Cornish, Kelly McEvers and Ari Shapiro. The broadcast rounds out NPR's programming day, providing detailed coverage of the day's news for stations across the country. Siegel is on away on assignment this week, so he won't speak about his decision on the air right away. But he said in a statement that he has been considering the move for some time. "This is a decision long in the making and not an easy one," he said. "I've had the greatest job I can think of, working with the finest colleagues anyone could ask for, for as long a stretch as I could imagine." Siegel joined NPR in 1976 as a newscaster, then went on to open the organization's London bureau three years later. In the mid-1980s he oversaw "All Things Considered" and its A.M. counterpart "Morning Edition." He was the vice president of news in 1987 when he decided "to give up his big office for the chance to anchor All Things Considered," according to the Encyclopedia of Radio. The broadcast always had multiple co-hosts, but Siegel became its most consistent voice, instantly recognized by public radio fans. On Tuesday NPR's head of news Michael Oreskes praised Siegel as "one of journalism's best."